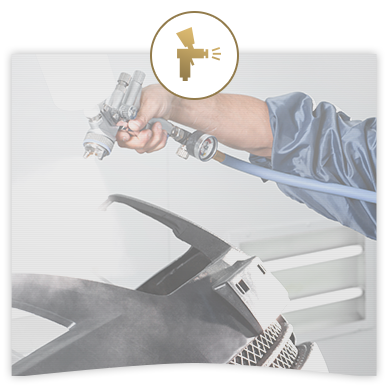 At Surgenor Hyundai, we've partnered with Car Star to bring you the best body repair services. We can fix almost any damage and put it in the past, as well as replace or fix broken windshields. Car Star specializes in working on Hyundai vehicles, new or old. If you want to keep your Hyundai vehicle looking and running as good as new, Surgenor Hyundai has got what you need. Car Star will only use genuine Hyundai parts in all of their repairs to ensure the reliability and resale value of your Hyundai. Not only will they use genuine Hyundai parts, they'll treat your vehicle as if it were their own. At Surgenor Hyundai, you'll receive the highest quality of service and safety that's guaranteed. The body shop team from Car Star will also help maintain the appearance of your Hyundai vehicle and protect it against any form of weather that threatens your vehicle. Visit Surgenor Hyundai today for all your body work needs, because we provide quality you can trust.